The bumblebee is rooting around in the Rose of Sharon flower getting nectar. As he is doing so, the flower is covering him with pollen, that the bee will carry to the next flower. This entry was posted on Wednesday, May 23rd, 2012 at 6:26 pm. 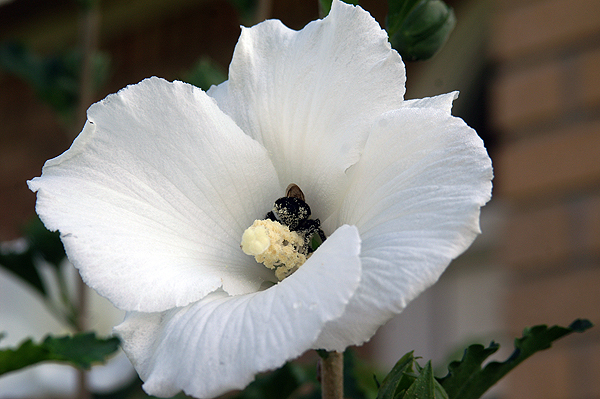 It is filed under Animals / Wildlife, New Images and tagged with bumblebee, flower, pollen, pollination, Rose of Sharon, white. You can follow any responses to this entry through the RSS 2.0 feed.